A Remixer Agitator is a holding drum that enables any amount of wet concrete to be discharged as and when it is required – the Remixer basically keeps the concrete agitated so that it doesn’t set. These are ideally suited for use with piling rigs and are available in 2 – 8 cubic metre capacities. Utranazz Remixers utilise a 4-cylinder water-cooled auxiliary engine that powers the mixing drum. 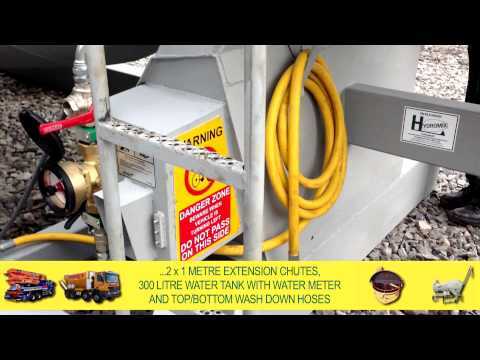 They come complete with their own water system, diesel supply and hydraulic oil and water tank and are supplied mounted onto a 7” sub-chassis with lifting eyes. Each Remixer comes with the necessary protection canopy and safety rails.